I have it on good authority that this is the original version, and Rockwell just cribbed from it from the past somehow. 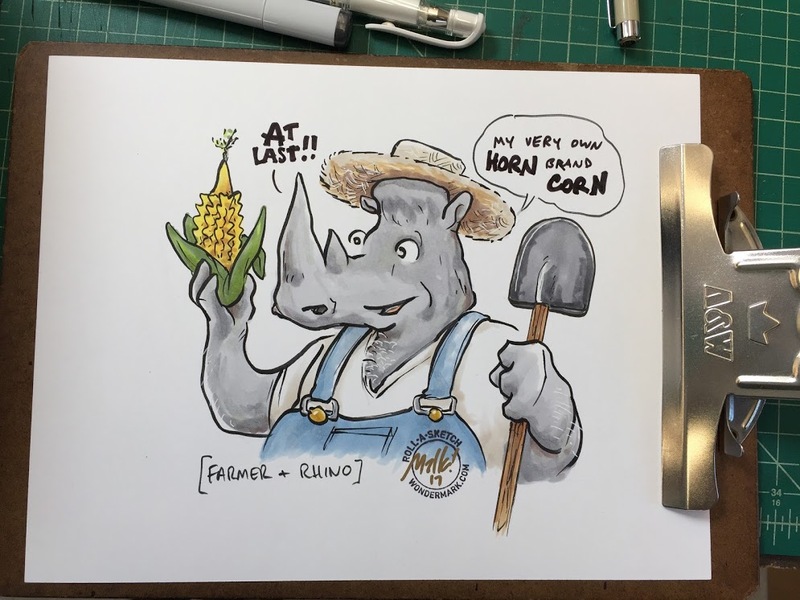 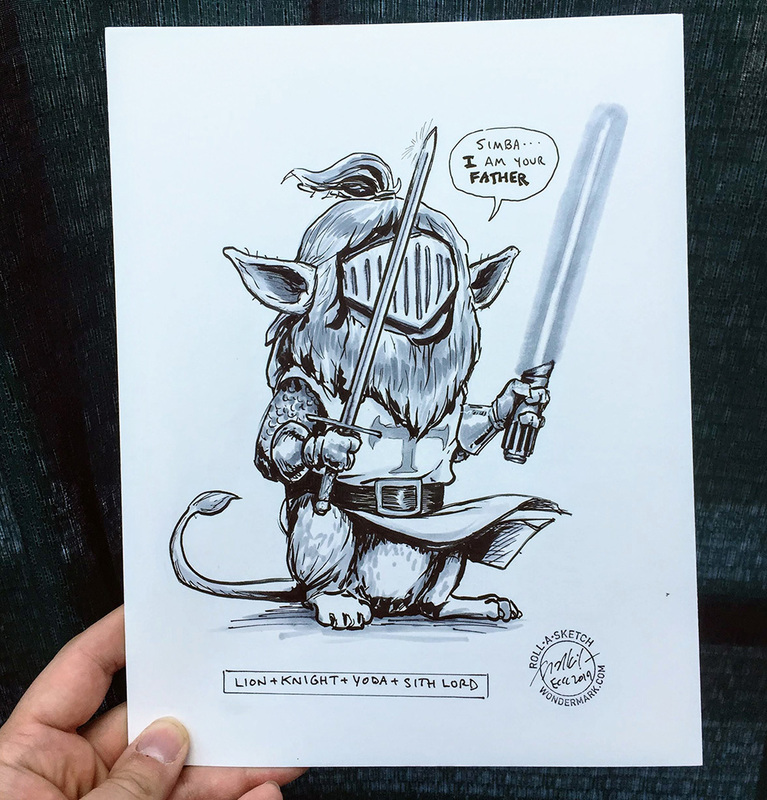 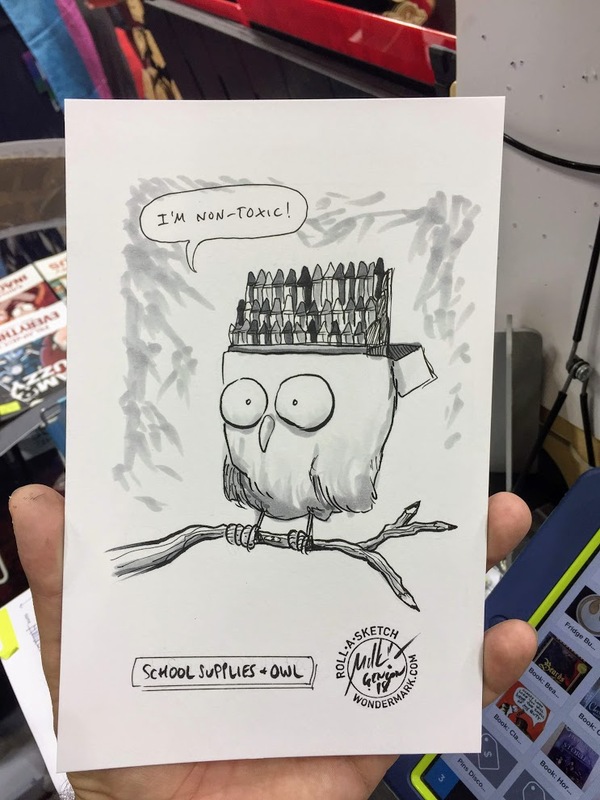 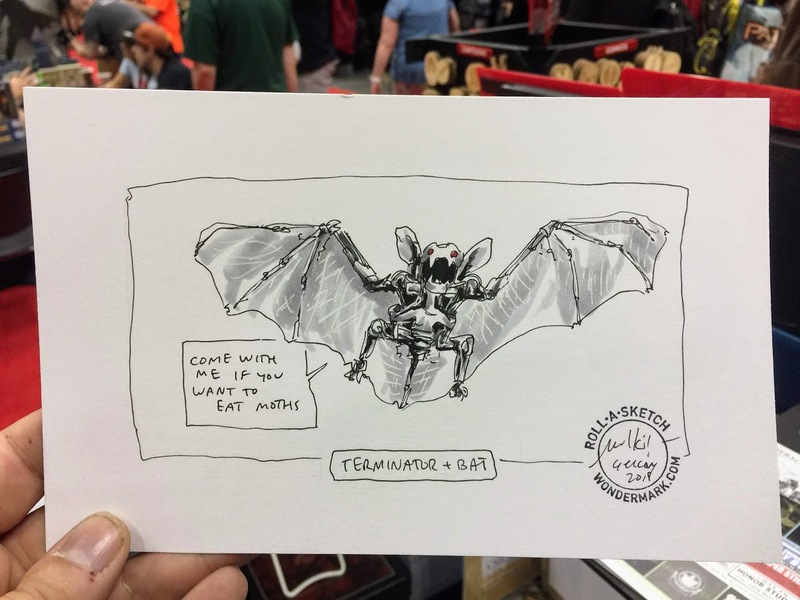 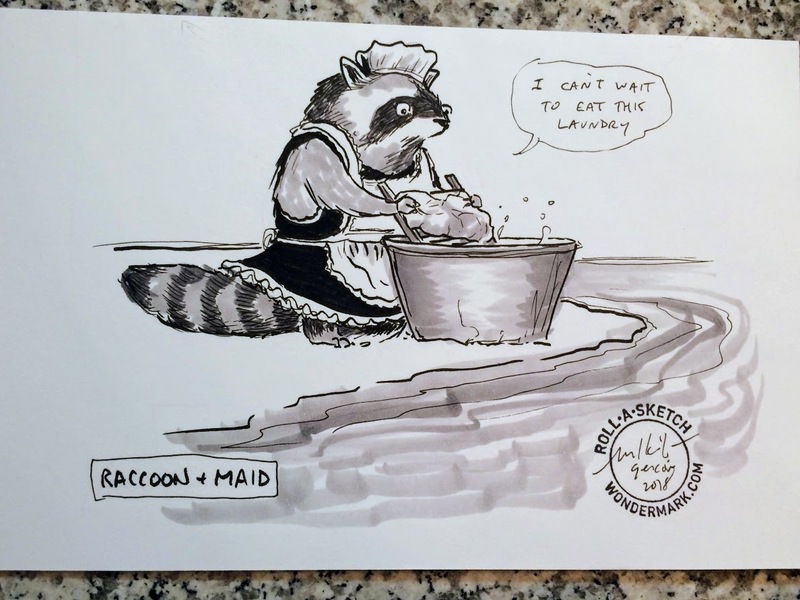 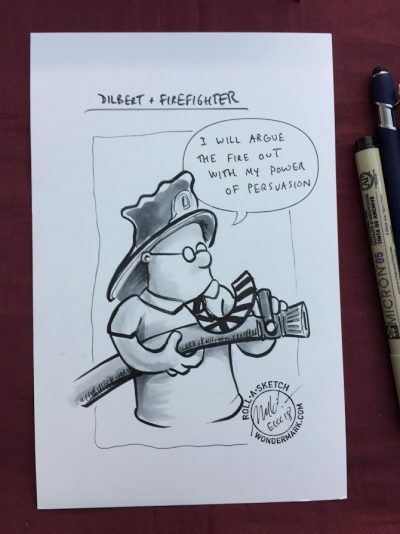 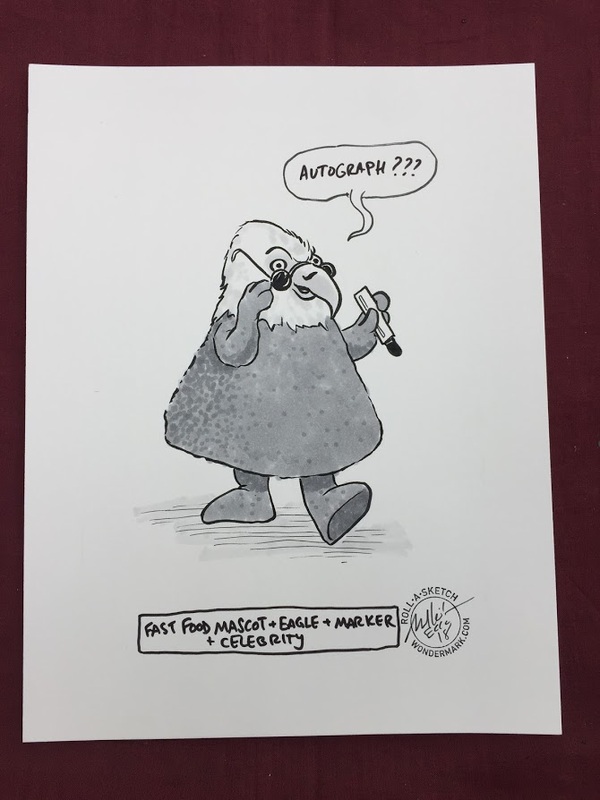 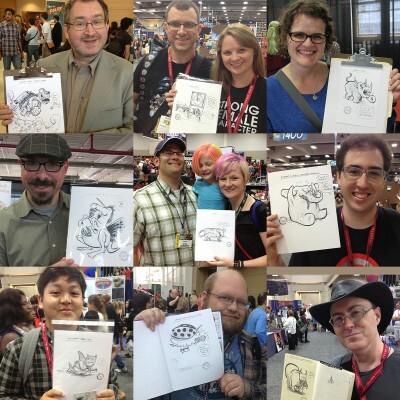 Tags: blog: drawings | Comments Off on Roll-a-Sketches from Gen Con! 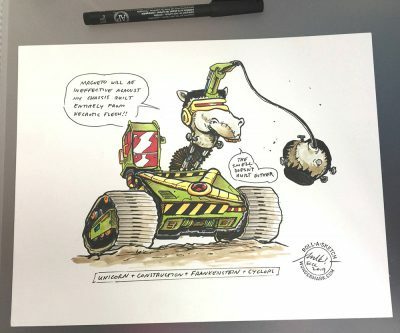 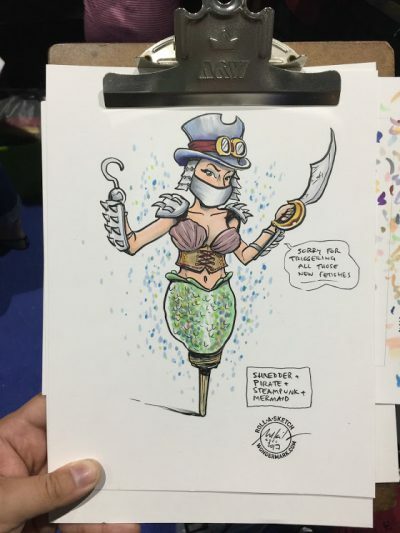 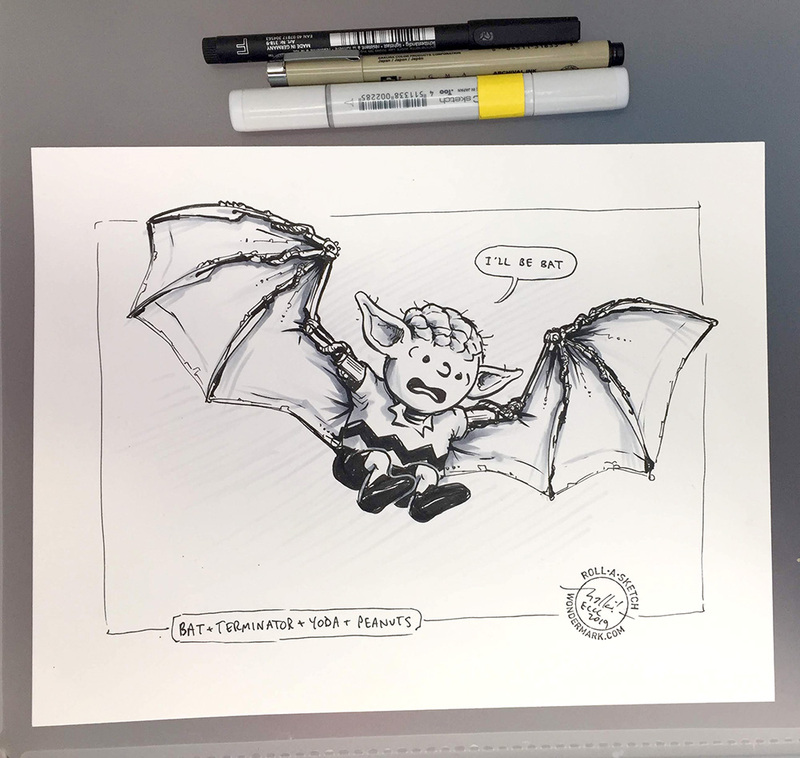 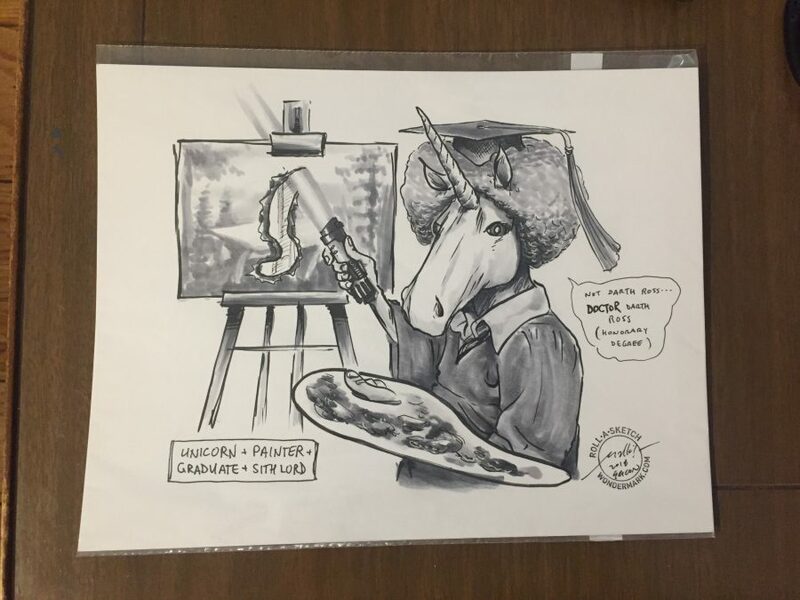 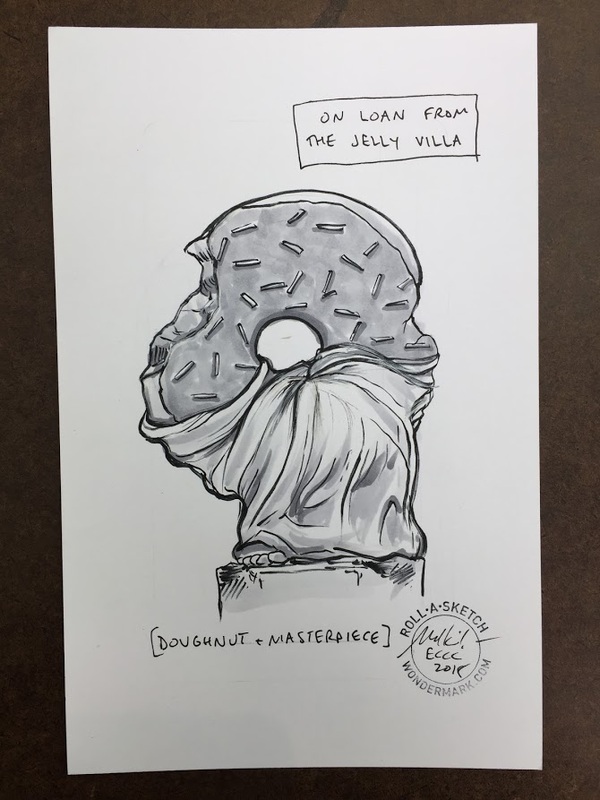 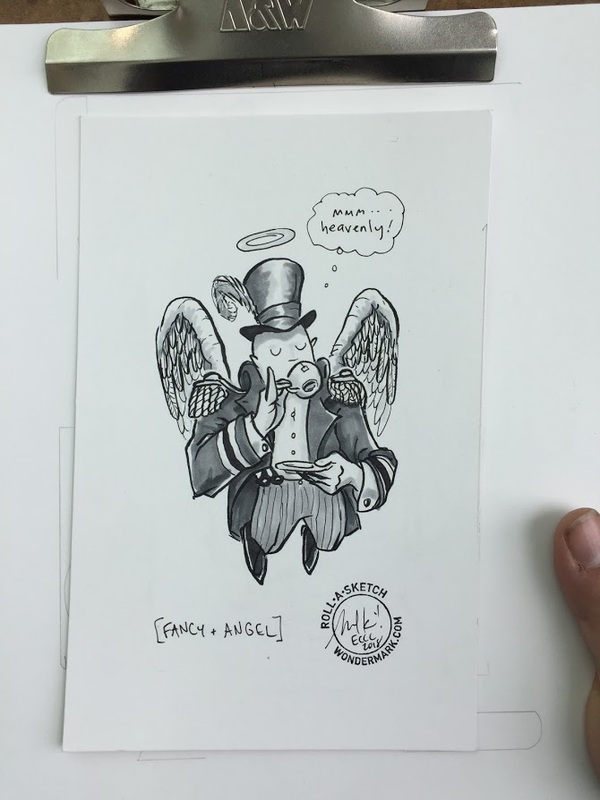 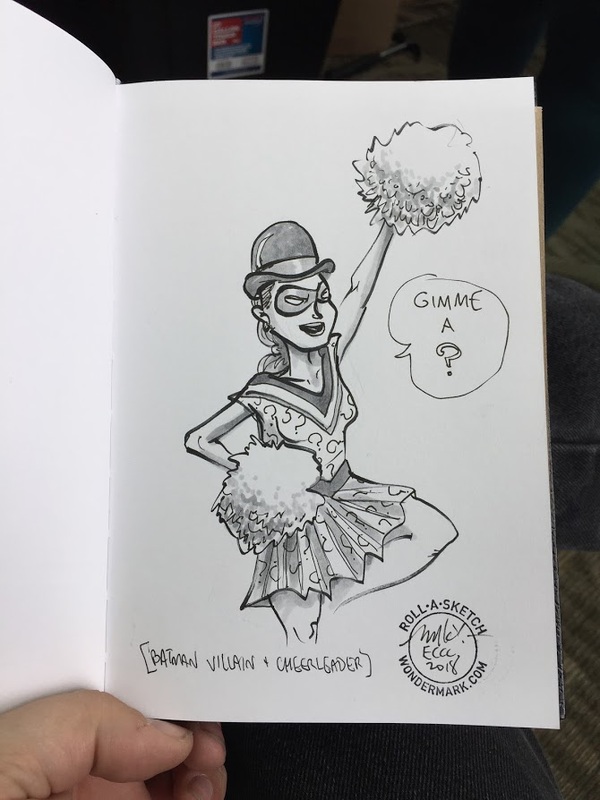 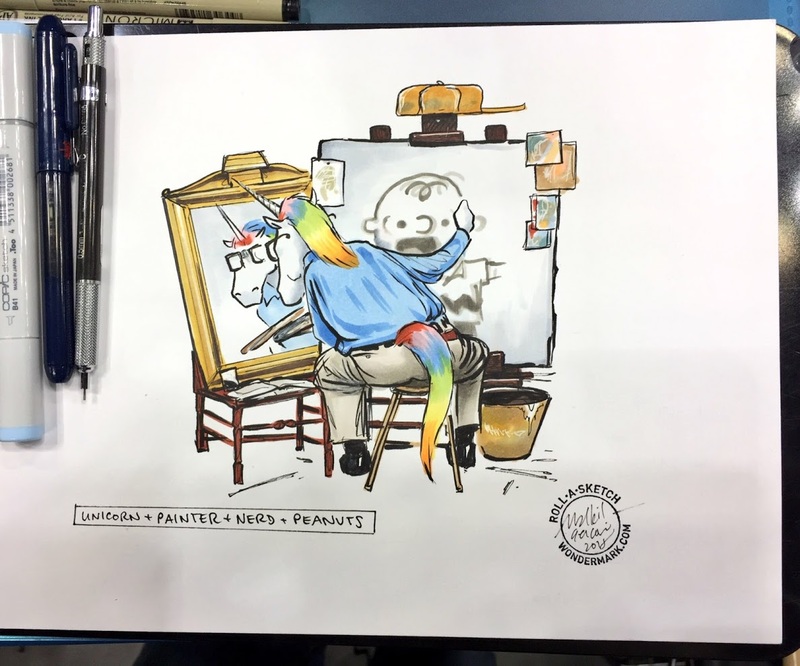 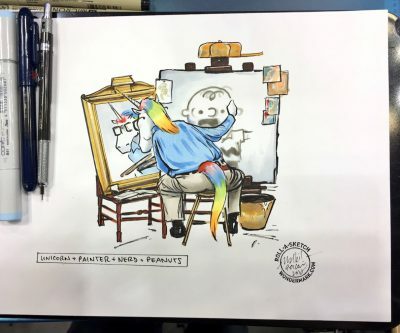 Tags: blog: drawings | Comments Off on Roll-a-Sketches from Emerald City ’18! Roll-a-Sketches from Comic-Con! 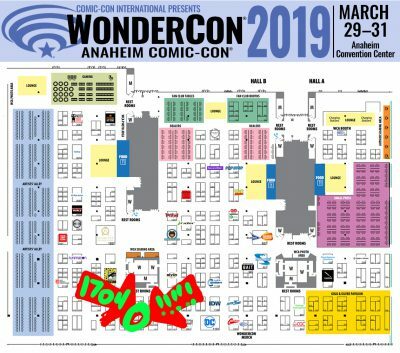 Gen Con THIS WEEK! 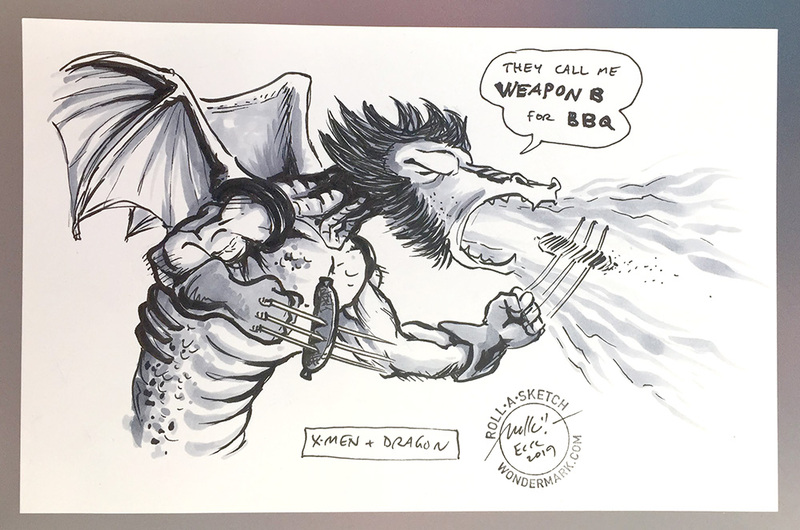 Here are a few of the Roll-a-Sketch drawings I did at San Diego Comic-Con this year! 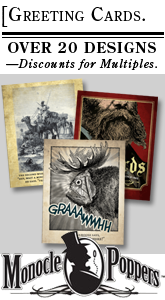 And I’ll also be at Gen Con in Indianapolis, this weekend. 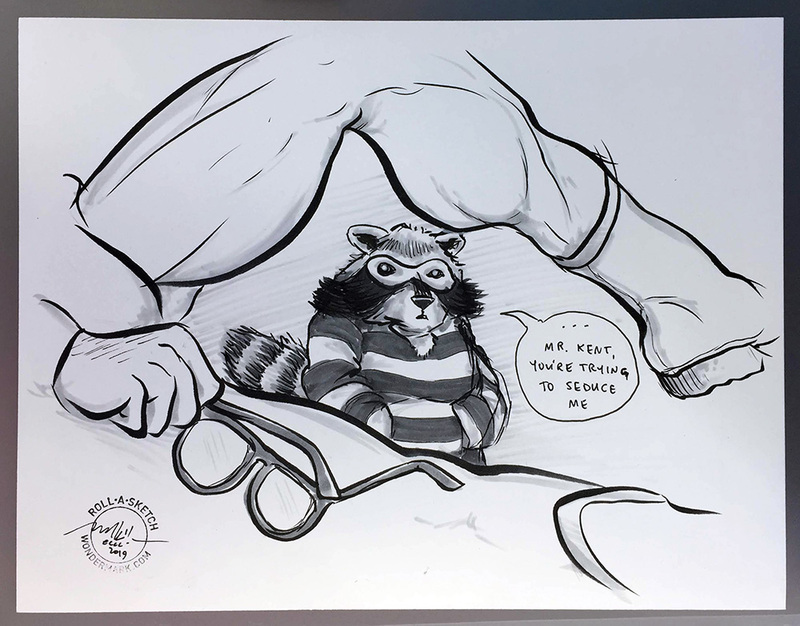 I’m at the Blind Ferret booth, #2129! It’ll be my last convention of 2017. 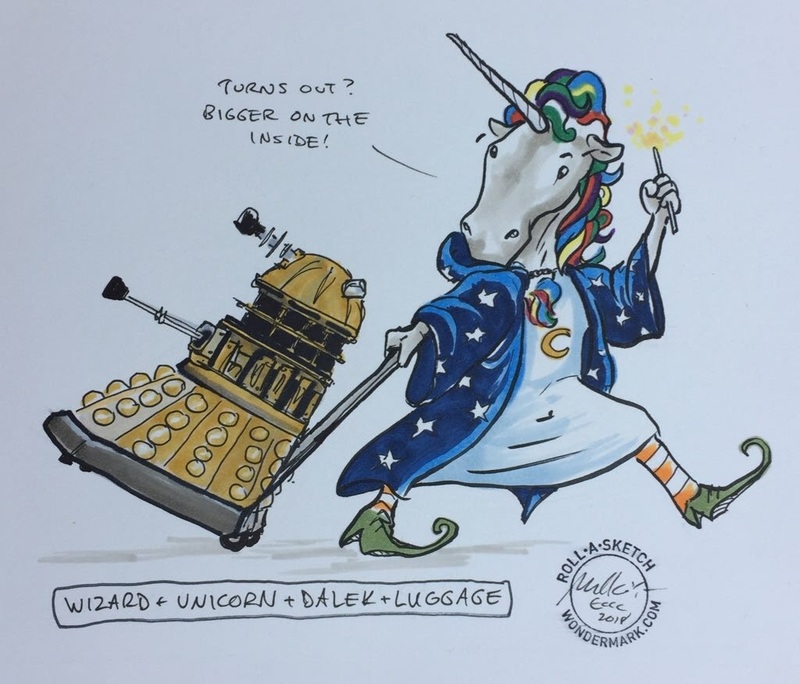 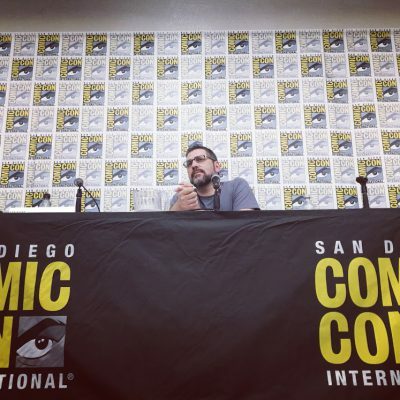 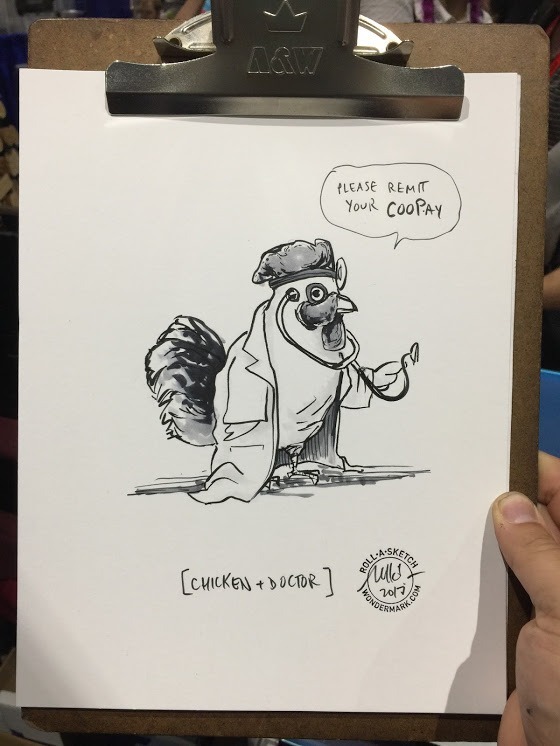 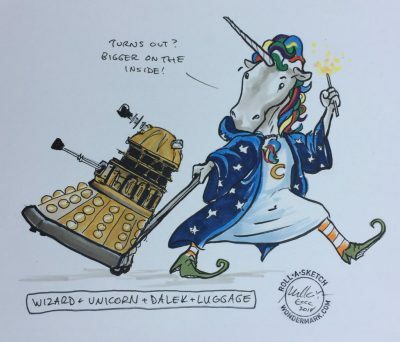 Tags: blog: drawings | Comments Off on Roll-a-Sketches from Comic-Con! Gen Con THIS WEEK! 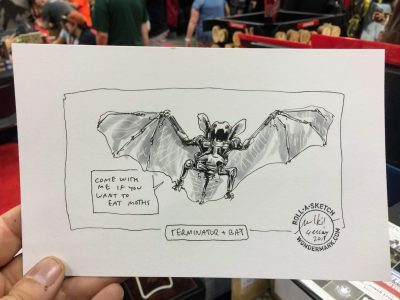 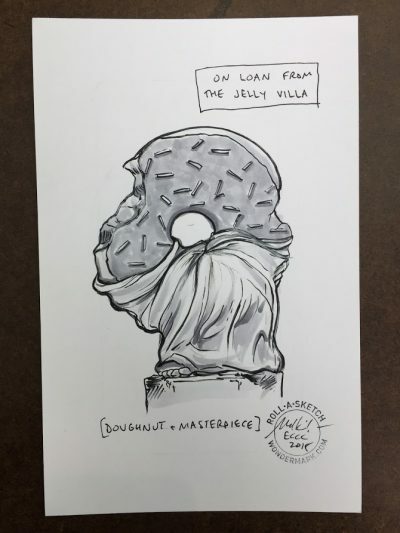 I went back to my collection of Roll-a-Sketch drawings (of which there are many, many that don’t make it here onto the blog) and put together a sort of BONUS PACK of never-before-seen entries! 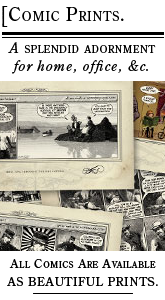 And I also wrote some commentary on each, which is a new thing that I haven’t done before and which I frankly find fascinating. 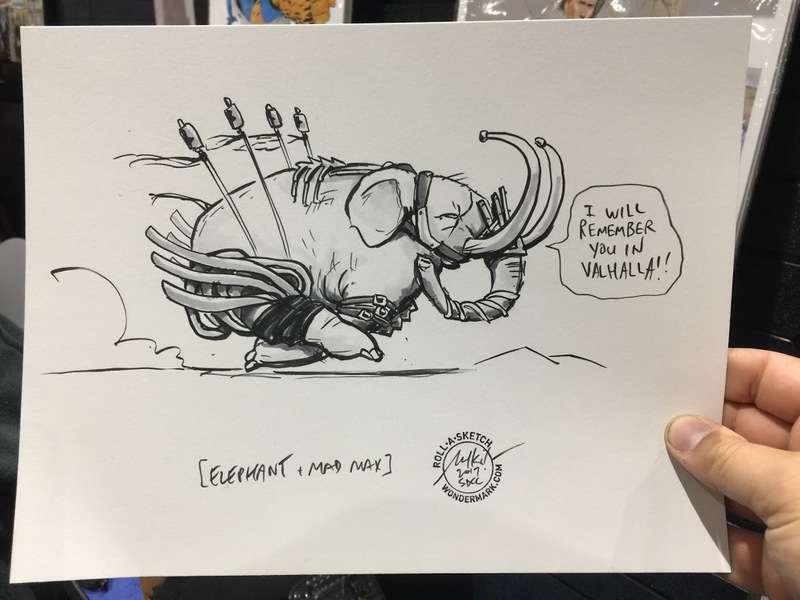 Perhaps you will too? The post is available to all $5+ members of my Patreon! 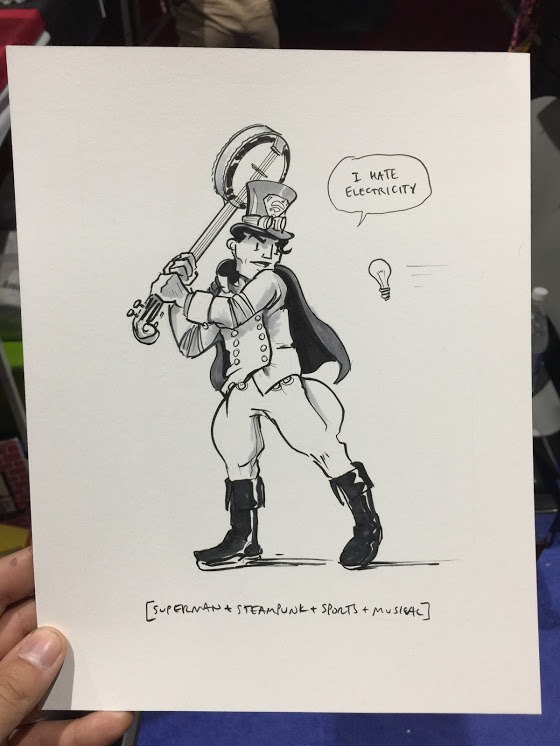 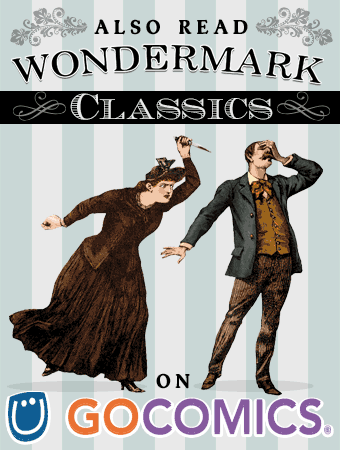 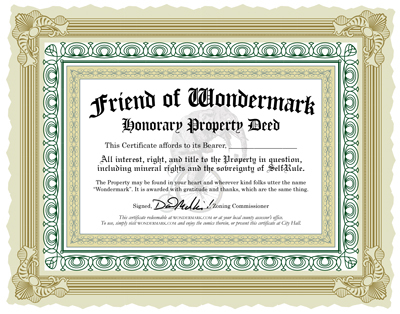 The patreonauts who support me and Wondermark and the other things I make for you are all cherished jewels of humanity to me, and if this BEHIND-THE-SCENES oversharing of drawings is of interest to you, I would like to make it a more regular thing.